You are here: Home / Jewelry / Jewelry gift guide: $500 – $1,000. Jewelry gift guide: $500 – $1,000. I am going to digress briefly before I get to the bling to tell you about a fabulous thing that I’m doing. I’ve joined the team at The DC Ladies to help revive their long-slumbering book club. We kicked things off last month with my fabulous co-host leading a discussion of Where’d you go, Bernadette? and I’ve just kicked off our December read: The Engagements by J. Courtney Sullivan! We’re going to read the book over four weeks (this is week one) with three weekly check-ins for discussion questions and then a tweet chat at the end. I would love, love, love for you to join. You always have such fabulous comments about my book reviews; I can only imagine how fun it would be to discuss a book at length with you. You can find all the details here. Now, to business. 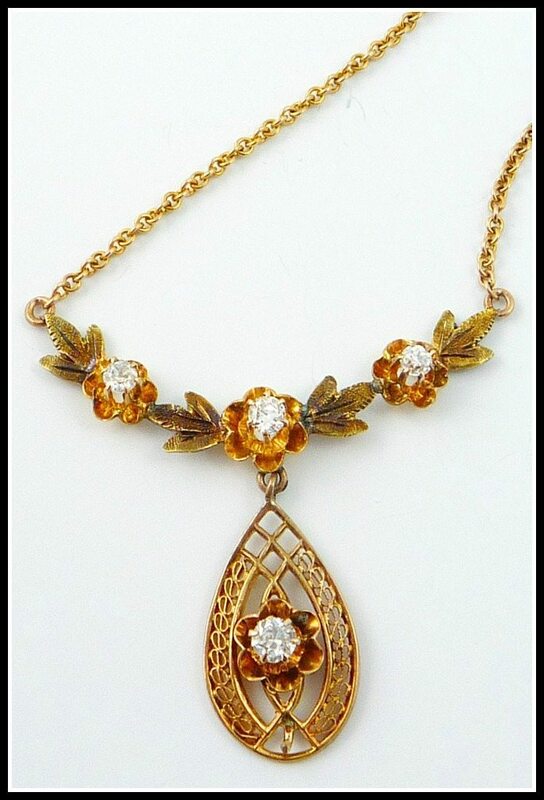 In today’s jewelry gift guide we survey the last of the 3-digit prices and get ready to move onto 4. Hold onto your credit cards, my friends. To revisit the jewelry gift guide for another price range, please click here: under $50, $50–$100, $100 – $250, $250 – $500. Art Deco onyx, diamond, and seed pearl ring in white gold filigree ($650). Kendra Scott Pave Oval Bib Necklace in Iridescent Drusy ($740). Kendra Scott is best known for her fabulous costume jewelry, but her luxe line is stunning. Aurélie Bidermann Rose gold-dipped lace cuff ($725). Bijoux Heart Empire gold-plated Swarovski crystal earrings ($575). Antique Art Deco diamond and emerald ring in white gold filigree ($659.99). I come across rings like this every once in a while and I always love them. One for the jewelry life goals list. Kara by Kara Ross Multi-Colored Crystal & Ebony Resin Bib Necklace ($865). 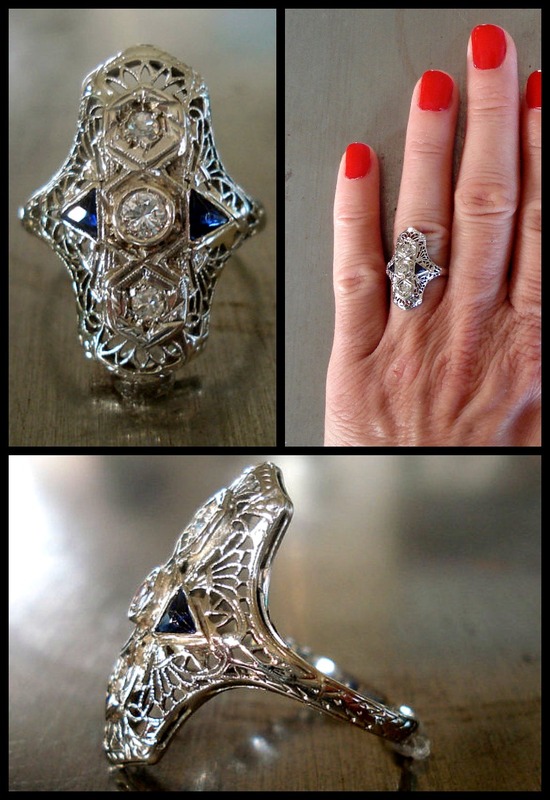 Edwardian diamond and sapphire ring ($865).